Could there be a better wish for the holiday season? 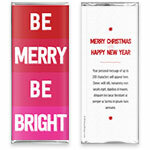 Bold color brings a modern edge to this holiday candy wrapper. 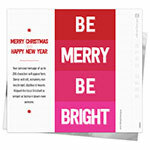 Design: Chunky stripes with bold text and a holiday message.